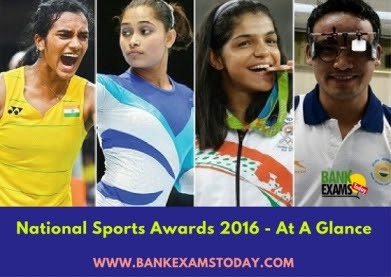 National Sports Awards are given every year to recognize and reward excellence in sports by Ministry of Youth Affairs and Sports, Government of India. individuals who have played a visible role in the area of sports promotion and development. Overall top performing university in inter-university tournaments is given Maulana Abul Kalam Azad (MAKA) Trophy. A large number of nominations were received for these awards this year, which were considered by the Selection Committees consisting of former Olympians, Arjuna Awardees, Dronacharya Awardees, Dhyan Chand Awardees, Sports Journalists/Experts/Commentators and sports administrators. Selection Committee for Rajiv Gandhi Khel Ratna Award and Arjuna Awards was headed by Justice S.K. Agarwal, Retired Delhi High Court Judge. Selection Committee for Dronacharya Awards and Dhyan Chand Awards was headed by Ms. M.C. Mary Kom. Selection Committee for Rashtriya Khel Protsahan Puruskar was headed by Shri Rajiv Yadav, Secretary (Sports).